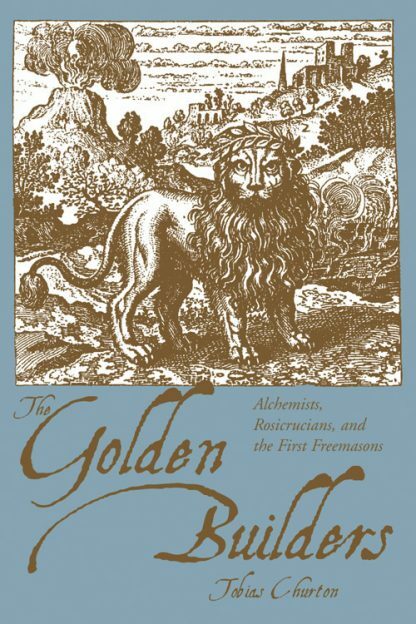 In a breathtaking span of detailed research, Tobias Churton reveals, without resorting to mythology or pseudo-history, the most up-to-date knowledge on the development of Gnostic alchemy, the true origins of pre-Grand Lodge Freemasonry, and the mysterious Fraternity of the Rosy Cross (the Rosicrucians). Following the Hermetic spiritual and philosophical stream through 1,600 years of esoteric history, Churton introduces readers to great men of magic and wisdom--spiritual heroes and masters like Paracelsus, Caspar Schwenckfeld, Johann Valentin Andrae, and Elias Ashmole. The Golden Builders is an essential addition to any serious seekers' library. * Part 1 presents a broad survey of the Hermetic current and its transmissions from Hellenistic Alexandria to the time of Paracelsus. * Part 2 focuses on the Rosicrucian movement as a vehicle of the Hermetic current, drawing on state-of-the-art research, such as the works of Spanish scholar Carlos Gilly. * Part 3 concentrates mainly on one man, the English polymath, antiquarian, collector, alchemist, astrologer, and early Freemason, Elias Ashmole, after whom the Ashmolean Museum in Oxford is named, and one of many Renaissance figures who carried the Hermetic current forward. Debunking myths while revealing genuine mysteries, The Golden Builders is an enticing read that contains much spiritual wisdom. Explore the deeper meaning of magic and human existence, as revealed in the records and inspiring lives of the Golden Builders. Tobias Churton is a writer and filmmaker, best known for his work on English television's award-winning Gnostics series and the best-selling book that accompanied it. Churton was also founder-editor of the controversial Freemasonry Today magazine. He recently completed a dramatic film on Elias Ashmole and the origins of Freemasonry, A Mighty Good Man.